I enjoyed your previous flight-walkthrough episodes, but Paul Gilbert was able to provide astoundingly rich detail about the set up. Having an instructor walk through a flight simulator was an excellent idea for an episode, and getting your point of view as someone who has flown but is inexperienced with jets and simulators was particularly helpful. 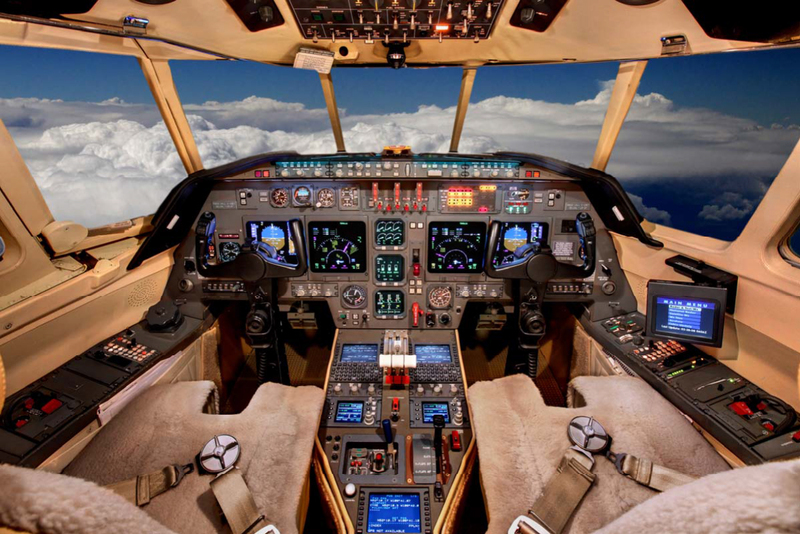 I’ve always thought flying sounded like fun, but who would have thought a flying simulator would be fun as well? This episode could have easily gone another 30 minutes to an hour and held my interest. Finally I had the time to listen to this episode – and what could I say?! I really enjoyed it. Besides the fact that I have a weakness for episodes with surrounding sounds, the topic and your interview partner have been amazing! As I have already said on Twitter: with such episodes one really wishes to have a camera on your shoulder to get an even better impression. But of course I know that this would be an aweful amount of additional work. Anyway, great episode! I got one question left: what was this “hammering” noise that set in from time to time? Some hydraulics? diese Folge fand ich ganz toll – sie hat richtig Lust aufs Fliegen gemacht! Wo in der Folge schon PC-basierte Flugsimulatoren angesprochen wurden: wäre http://www.flightgear.org/ nicht auch mal eine Folge wert? Z.B. mit einem der Entwickler? Leider kann ich da keinen Kontakt vermitteln. Auf Youtube gibts ansprechende Filme mit Flightgear-Flügen. Gruß und Danke für viele tolle Folgen! As a non-pilot I find your interviews with pilots fascinating, and this episode was no exception. I totally agree with Joseph that I was sorry to get to the end of the podcast. Thanks for your “user friendly” questions and explanations, not only in this episode but on all the ones where you go “on site”. Your descriptions of what you see and what is going on around you are so good it’s almost like watching video. @Matthias, I think the hammering you refer to is the “cricket” that indicates the trim is moving. It’s mentioned at 20:37 in the podcast. The simulator was obviously a new experience for you. You sounded much more confident in your powered glider episode. The instructor thought you did a fine job though. It must be nerve-wracking in a real Falcon 50 with real people during hazardous conditions. Do you think you will ever fly in a military jet trainer one day? Wow ! What a cool job. These simulators are so realistic now. Pilots now could probably just train in the sim and go straight out to fly. I have just been on the 737-400 sim at Heathrow. Amazing! Wow, cool. Did you get a chance to fly yourself?